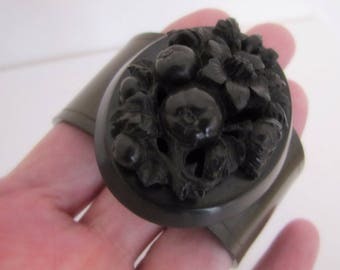 Circa 1870 and a rare survivor this deeply carved Whitby jet snake bracelet is an impressive 18" long and perfectly engineered to spring into a triple coil. With 17 separate segments including the head and tail section it is incredibly detailed and lifelike with the carving depicting the snake skin and features. This is museum quality piece (the last photo is taken in Whitby Jet Museum where we can see this one's twin). The snake is one of the most classic jewelry designs of the Victorian age and represented eternal life and so it was a popular choice of motif for mourning jewelry. 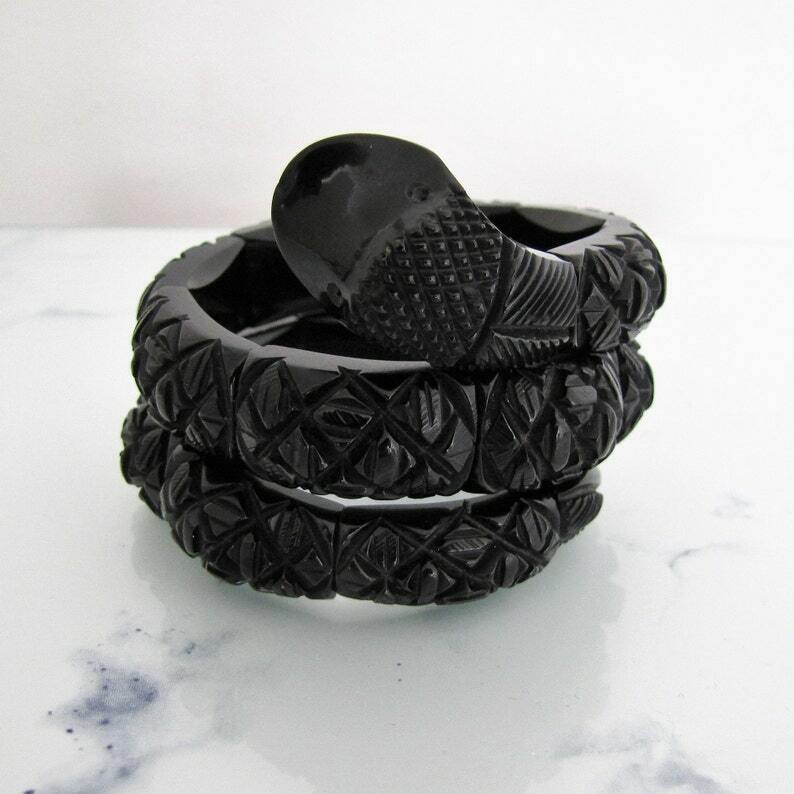 Snakes bracelets translated especially well when made in Whitby jet. Worn over gloves, they were elasticated like the other jet bracelets however they were made to coil up the wrist. Some were faceted and some were intricately carved. The level of workmanship all depended on how much the customer was willing to spend, the same applied to the length of the bracelet. As a stretch wraparound bracelet it will fit pretty much any wrist size. It measures 2" wide when worn on the wrist. We have replaced the elastic so it is nice and strong with plenty of stretch. Jet is a fairly fragile and brittle material, the last thing you would want is the elastic to break and the pieces fall to the floor because they can shatter. Condition is excellent with a just couple of tiny nicks to the mouth area. They are not noticeable and do not detract in anyway. The jet is still highly polished and glossy with no scratches or dulling. That it has survived complete for nigh on 150 years is astonishing really. 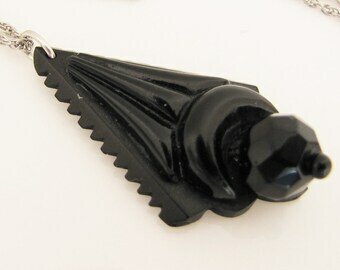 A rare and fabulous piece of original Victorian Whitby jet jewelry! Our shop is located in the in the historic heart of the Whitby jet jewelry industry and all our jet is sourced locally. Browse mercymadge.etsy.com for more extraordinary antique jewellery. New pieces are added daily and layaway is available.